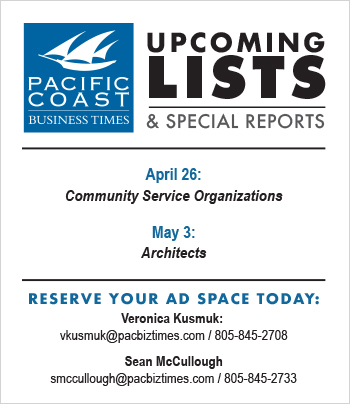 I’m very proud to announce that 2010 will mark the 10th anniversary year for the Pacific Coast Business Times. Since March 17, 2000, we’ve been chronicling the fortunes of business and the overall economy in Ventura, Santa Barbara and San Luis Obispo counties. Along the way we’ve covered major stories about innovation and financial meltdowns and we’ve built a large group of loyal subscribers to the region’s only weekly business journal. We’ve built our special reports calendar around six major events and we’ve innovated online with breaking news and an active Web site that allows you to manage your subscription, buy a Top 25 list or sign up for an event. 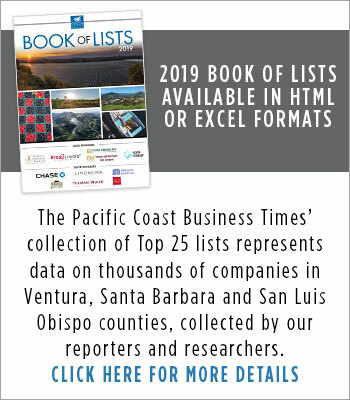 In just a few weeks we’ll kick off the New Year with the publication of the 2010 edition of the Pacific Coast Business Times Book of Lists. It is included each year as part of your paid subscription. • Business Hall of Fame. To celebrate our 10th anniversary, we will creating the first Business Hall of Fame, recognizing leaders from across the three counties. We’ve already enlisted a distinguished judging panel, including Dave Christy, dean of the Orfalea College of Business at Cal Poly; Gary Hansen, associate dean and director of the Technology Management Program at UCSB; Bill Cordiero, dean of the Martin V. Smith School of Business at California State University, Channel Islands; and Chuck Maxey, dean of the California Lutheran University School of Business. The Hall of Fame winners will be announced as part of our 10th anniversary special report, which also will recap the past decade and look at coming trends. That report will publish on March 19. On Monday, April 12, we’ll be holding a gala awards reception and program at Fess Parker’s Doubletree Resort. • Family Businesses and closely-held companies. We are expanding our family business awards to include select closely-held companies. 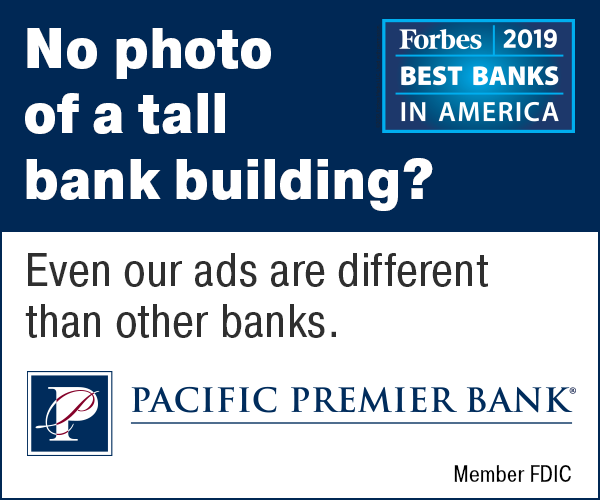 In addition to recognizing large, medium and small family-owned businesses, we are opening our awards to a new category of closely-held enterprises. We’re defining these as companies with 100 or more employees, a history of success and a limited ownership structure. • Executive health and wellness. Given all the attention that’s been given to health and healthy living during the past year, we’re also launching a new special report aimed at expanding our coverage of this important issue. Executive Health & Wellness will publish in June and it will include a look at advanced practices and techniques. We’ll open up to new ideas in stress management and healthy living. • 10-K reports. Beginning with the current issue, we’ll be using The Money Page to explore in depth some of the publicly traded companies that sometimes don’t get covered beyond earnings reports. We’re beginning a series of 10K reports, which will offer an in-depth look at these companies, beginning with athletic shoe maker K-Swiss, based in Westlake Village. • New Who’s Whos. This fall we’ll be adding a new member to our lineup of very successful Who’s Who sections. Who’s Who in Agribusiness & Viticulture will recognize the movers and shakers in agribusiness — an increasingly important sector of the economy. It is a sector that will grow in importance because it is key to sustainability of our economy. Viticulture recognizes that the wine industry is more than just a niche segment — it is a key driver for tourism, land use and lifestyle across all three counties. So, we have exciting new projects as we enter our second decade. Thank you for being with us on an incredible journey that’s really just begun.